Students are jumping for joy at Stockton Riverside College in preparation for their summer show. 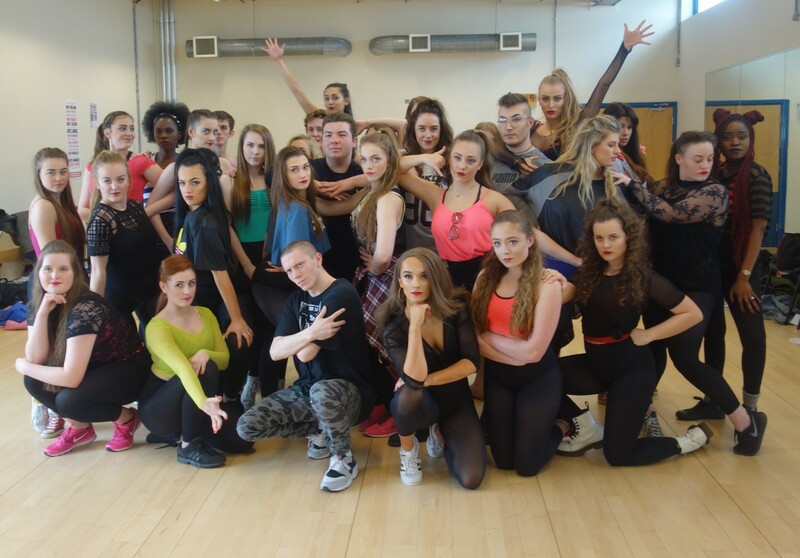 Performing Arts Musical Theatre students will be flying high as they bring Fame the Musical to the College’s Margaret Armstrong Theatre. Introducing a fitness and healthy eating regime into the students’ usual timetable, Sara describes it as “their biggest test yet”. Set in New York’s High School for the Performing Arts on 46th Street in the early 80s, Josef Weinberger’s Fame the Musical tells the bittersweet story of a diverse group of young performers committed to meeting the gruelling demands needed to succeed. Tackling issues such as prejudice, self-worth, sexuality and substance abuse, it ultimately becomes an inspiring tale of perseverance. A firm favourite among audiences, Fame the Musical follows a strong line-up of successful hit shows performed by the College including, The Wizard of Oz, Medley of Musical, Cinderella and Grease. The summer show, which this year will feature 40 to 50 students and guest performers, marks the final performance for those completing their studies, with many going on to secure places at some the UK’s biggest stage schools and universities. Demanding hard work and dedication the course leader said Fame the Musical is a test of students’ endurance and offers performance opportunities for a large cast. Despite all the hard work Sara said: “The students are looking forward to putting on the show. We are bringing it up to date in a lot of ways and the students can really relate to the story. Fame the Musical comes to The Margaret Armstrong Theatre at Stockton Riverside College, Harvard Avenue, Stockton, from Wednesday June 8-11, with matinee performances on Thursday June 9 and Saturday June 11. Featuring some serious themes the show has a 12A parents’ advisory notice. Tickets are £11 adults and £9 concessions, available from www.facebook.com/srcshows/ by clicking Book Now.